Just as profit warnings tend to follow each other like London buses, so too do good news announcements. 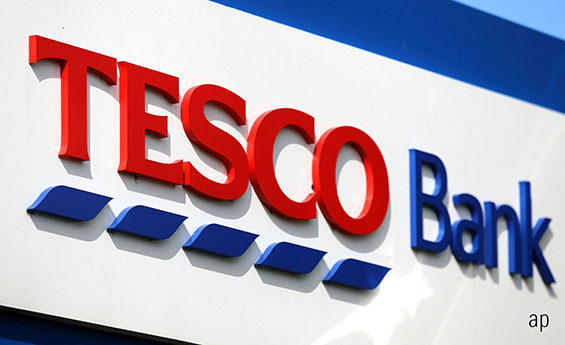 Heaven knows, supermarket group Tesco (TSCO) knows what it is like to produce disappointment after disappointment but it has mercifully now learnt the knack of following better news with even better news. Long may it continue. Admittedly sales abroad are still struggling but Tesco shareholders will not want to carp too much. It could have been, and has been, worse. Figures for the year to February 23 were distorted by the inclusion of the Booker acquisition for just 51 weeks but the important point to understand is that profits are up more sharply than sales. It means that the well-covered dividend total is raised from 3p to 5.77p. Sales for the UK supermarket chain were admittedly sluggish, increasing by just 1.7%, though that was not bad in the highly competitive market place. The wisdom of buying cash-and-carry chain Booker is shown in an 11.1% gain. Like-for-like sales in central Europe were down 2.3% and in Asia by 6.2%. However, operating profits did improve in both these regions. The shares gained 3.5% on the update. They have gained more than a quarter since slipping unfairly to 190p at Christmas but I feel they will soon challenge last summer’s high of 266p. Chief executive Dave Lewis can take a lot of credit for a remarkable transformation. He is now rightly able to claim that after four years Tesco is meeting the vast majority of its turnaround goals. I just hope he doesn’t decide to quit while he’s ahead. Homewares chain Dunelm (DNLM) is much smaller than Tesco and in a much different line of retailing but its rags to riches story is if anything more dramatic. At least Tesco was never in danger of going bust; three or four years ago I thought that fate awaited Dunelm. Like-for-like sales are growing 12.5% and total sales, although restricted by the welcome closure of the troublesome Worldstores and Kiddicare websites, were 6.1% ahead in the third quarter to March 30. Growth so far in the second half has been stronger all round than in the first. Net debt has been reduced to a comfortable level, so Dunelm is able to invest more in the business. Congratulations to anyone who bought in before Christmas last year – the shares traded between 500p and 600p for most of 2018. They are now just below 900p. Stay in and enjoy the rising dividend. You deserve it. WH Smith (SMWH) continued its now long-running recovery with interims to February 28. As usual the growth is in the travel section but it is encouraging that the ailing High Street outlets seem to be bottoming out. The dividend is increased by 8%, great news for shareholders including me. The shares had come off their best and were surprisingly slow to react to the figures but by the end of the day they had added 2% to reach a 15-month high. There could be better to come. Recruitment group Page (PAGE) continues to defy the slowdown in the global economy. It reported profits up 11.7% in the first quarter of 2019 with all four regions delivering growth and 12 countries, mostly in the Americas, more than 20% ahead. The balance sheet remains strong with net cash of £76 million. The shares shot up more than 5% but at 530p – up 100p from January’s low - they were still 100p below last August’s peak. I have an irrational dislike of topping up an existing holding at a higher level than my original purchase but I felt the Page figures were still not fully reflected in the share price. Luckily I moved early in the day, so by the market close I was ahead on my new purchase. I believe there is more to come.